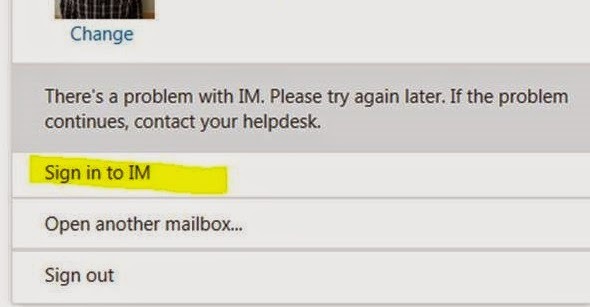 The notorious, "There's a problem with IM. Please try again later. If the problem continues, contact your helpdesk" error. There are a few things to consider when trying to get to the bottom of this pesky error. Let's dig into a few of the key things to check for. Next, with the Lync Server Management Shell still opened, we will run the "Get-CsTrustedApplication" cmdlet. The results should look like below. Note the port number 5199. If you have a pretty tightly locked down network internally, you will want to make sure that your Lync Front End servers can reach your OWA servers on port 5199. Ok, I realize that most of this image is "whited out", but you get the picture. Make sure your FQDNs are where the white out sections are, and make sure "outlookwebaccess" shows up where it should. 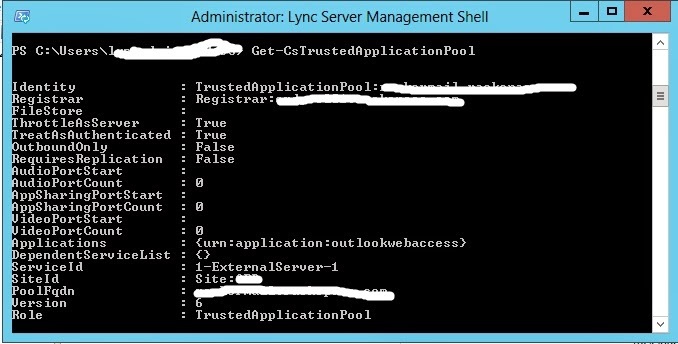 Now that we have verified that our Lync environment is properly set up to trust the Exchange servers, let's go back to assuming that we now know for a fact that IM works for some users within OWA. 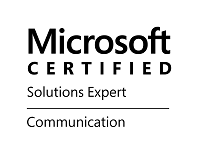 If we know that it does work, at least for some, then we need to verify that there is not, in fact, problem with "IM" (a.k.a., Lync Server 2013). Of course we can verify this by checking to make sure that we are able to log into our desktop or mobile clients with Lync, but this does not rule out that there is an isolated problem in the environment. To make sure all is well, quickly log into the Lync Server Control Panel (LSCP), and browse to the "Topology" tab. On this tab, ensure that all your relevant servers show up with a green check mark for their Replication Status, and then ensure that all servers report a healthy status for their services. We will assume that all is well on these checks, and that the environment is perfectly healthy. Alright, well now that we verified that Lync is in fact set up to trust Exchange and OWA properly, that the Lync environment is not having any sort of issues, and that IM within OWA does actually work for most users, we need to do some checking on the individual user level. A topical inspection of the user's settings within Exchange and Lync didn't reveal anything that stood out right away, so we decided to do a side-by-side comparison of a user that was experiencing the issue versus a user that was not experiencing the issue by looking at their properties within ADSIEdit. ADSIEdit allows us to get a really granular view of all possible attributes that can be set for a user within the realms of Active Directory-integrated applications, like Lync and Exchange. 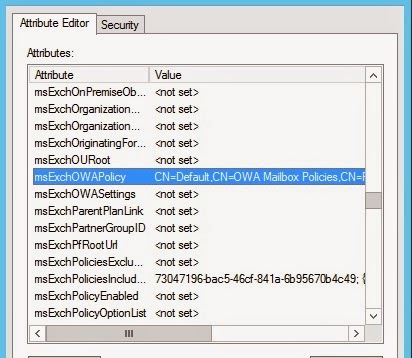 Technet does a dandy little job explaining how a default policy is created when Exchange is installed, and that this policy has ALL options enabled by default, BUT this default is not set on any mailboxes by default: https://technet.microsoft.com/en-us/library/dd335142%28v=exchg.150%29.aspx. 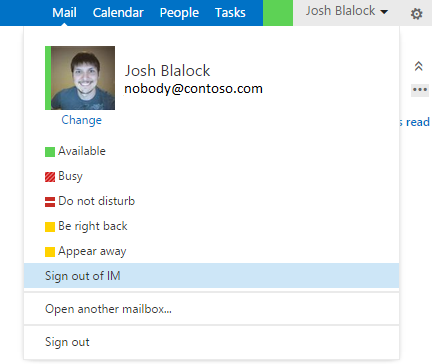 So, if your Exchange admins/engineers don't have a provisioning process that sets this value for each user, or if the process allows for a user or two to slip through the cracks, you might just find yourself with a handful of users that magically can not sign into IM within OWA. Well, I supposed I completely blew the attempt to keep this short and sweet, but I hope this is helpful for someone out there, and that they don't have to spend too long trying to track the problem down. Question: Does it have to be "urn:application:outlookwebaccess" or can it also be "urn:application:exowa"? I mean... is the name fixed by the system, or is this just a name that has been assigned by the sysadmin in a previous step? Hello Onkel, and thanks for the question! Good question, and I had to chase this down. While I knew this was set by an admin in earlier steps to set up OWA integration (https://lyncdude.com/2013/06/26/integrate-lync-2013-with-exchange-2013-step-by-step-part-2/), I didn't know if you had to use 'outlookwebaccess' specifically or not. From all the various articles I have researched, it does not appear that you have to call the TrustedPartnerApplication 'outlookwebaccess' in particular. I have seen some articles where they uses 'outlookwebapp' with success. Unless you have a really good reason to deviate from the norm, though, I would still recommend using what is found in most How-To articles to make future support a little easier on everyone, should it be needed. Good luck! 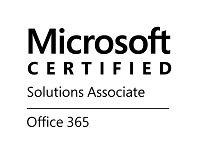 Office 365 Directory Synchronization Lab "Gotcha"